At the age of six years old, Beauty went through something horrific; a hunter shot her in the face and the upper part of her beak was destroyed. She was unable to clean herself or eat. A medic at Birds of Prey Northwest, Jane Cantwell, nursed Beauty back to health, but that wasn’t enough to ensure that she could survive. Cantwell began seeking advice from experts in her field but was told countless times that nothing could be done and her best option was to euthanize Beauty. That answer just wasn’t acceptable. While teaching a seminar in Idaho, Cantwell met an audience member named Nate Calvin. Calvin, the founder of Kinetic Engineering Group, thought he might just have an answer to Beauty’s problem. Teamed with engineers, wildlife experts, and even a dentist, they constructed something remarkable. They worked together to create a replica of what Beauty’s beak should look like and took X-Rays of her head. 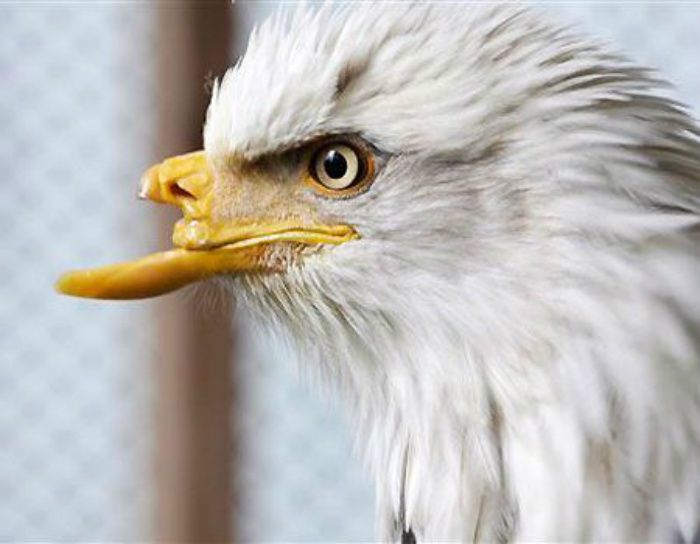 A 3-D printed prosthetic beak was made to replicate the real thing. And it worked. 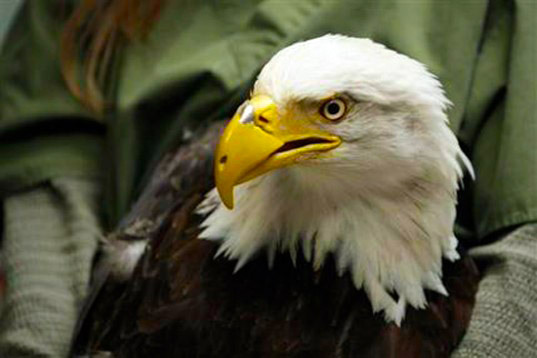 Beauty is now able to live like a normal eagle once more. She can preen herself, drink water, and eat- all things she couldn’t do after her life-altering injury. Beauty and the Beak from Keith Bubach - Trooper Media on Vimeo.